February and March are our months of celebrating We have birthday's for the 3 munchkins and my hubby all between February 20th and March 13th. All 3 kids and the hubby get separate birthday parties, whew! 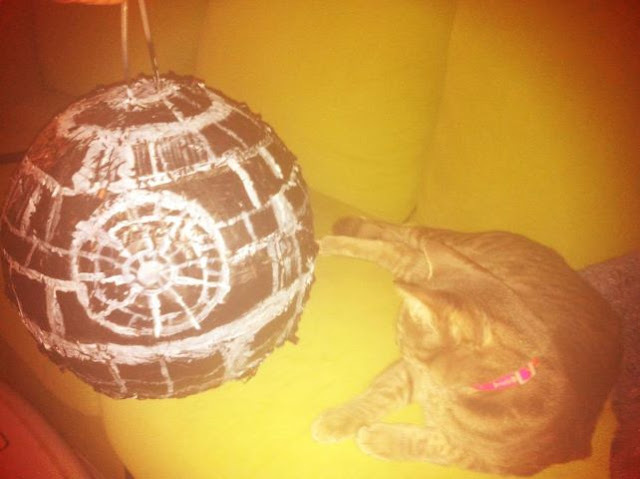 Below: With a little paint, a basketball piñata becomes a Death Star piñata.